Advisor to the investors of Lifetree on the merger of Lifetree Convergence Ltd. with Tecnomen. Lifetree Convergence Ltd., a leading provider of advanced Billing and Business Support Software solutions to telecommunication carriers, and Tecnomen Oyj (NASDAQ OMX: TEM1V), one of the leading suppliers of messaging and charging solutions for telecom operators worldwide, has announced the completion of the combination of the two companies. Tecnomen has acquired 96.5% of the share ownership of Lifetree. The consideration is to be paid through a combination of cash and issuance of new shares of Tecnomen. Avendus Capital was the exclusive financial advisor to the Investors of Lifetree for the transaction. 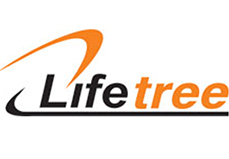 The combined entity has been renamed as Tecnomen Lifetree Corporation and has launched its new trademark, Tecnotree. The combined product suite would have end-to-end capability to provide an unmatched convergence-oriented value proposition to its customers. Atul Chopra, Managing Director & CEO of Lifetree would take on the additional responsibility of COO and President of the combined entity. Jarmo Niemi, CEO of Tecnomen Oyj., would continue as the CEO of the combined entity. Lifetree Convergence Ltd (CMMI Level 3 Version 1.2 certified company) is a global software company providing IT solutions to manage all customer touch points of a telecom service provider. It is a provider of operational support systems (OSS) and business support systems (BSS) software as also a provider of content management and delivery platforms. Focused on emerging economies such as Africa, the Middle East and Asia Pacific, the company has over 40 installations completed at tier 2 and large tier 3 operators worldwide. Headquartered in New Delhi, India, Lifetree has around 350 employees. Tecnomen, founded in 1978, is one of the leading suppliers of messaging and charging solutions for telecom operators worldwide. Tecnomen markets and sells its products and services through its own organisation, as well as through global and local partners, and has supplied its products to more than 100 customers around the world. Headquartered in Espoo, Finland, Tecnomen has 360 employees working in 15 locations worldwide. Tecnomen is listed on the main list of NASDAQ OMX Helsinki Ltd.